On Friday, March 9th there were nine (9) Semper Tek Project Managers and Superintendents who attended and passed the Kentucky Certified Healthcare Contractor class and examination offered in Lexington, KY. The program was sponsored by the Kentucky Society of Healthcare Engineers. Prior to attending the on-site class, our employees participated in a six-hour online course called “Safe Day One” about hospital construction safety. The in-person program furthered our employees’ knowledge and understanding about the concerns of the healthcare facilities in regards to patient safety, patient privacy, infection control and risk assessment. At the end of the in-person course each of our employees took a certification exam. 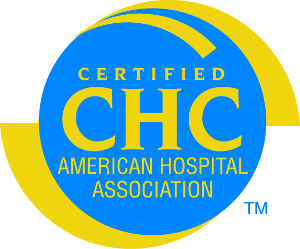 All nine (9) of our employees passed the exam and are now designated as a Kentucky “Certified Healthcare Contractor.” This certification will be valid for 3 years. The course attended by our employees will enhance our ability to better serve our clients at the various VAMC campuses where we perform construction. In addition to these newly trained and credentialed professionals for the state of Kentucky, Semper Tek employs F. Jason Brinkmoeller, CHC, who is one of only five people in the state of Kentucky, and the only employee of a SDVOSB-firm in the state, to hold the American Society of Healthcare Engineers (ASHE) Certified Healthcare Constructor (CHC) designation. Mr. Brinkmoeller first earned this designation in 2014 and recertified in 2017. His current designation is valid through October 2020. This stringent certification examination tests the individual’s knowledge of building codes standards, Life Safety Code, National Electric Code, SMACNA, Plumbing Code, OSHA regulations, Infection Control guidelines. Semper Tek is committed to providing our employees with continuous training and specialized education to enhance our ability to serve our clients and provide state-of-the-art hospital contruction. Semper Tek would like to welcome Rob Crouch to our team. 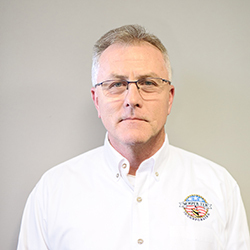 Rob has joined as a Project Manager and has extensive federal, commercial, and institutional construction management experience. He brings knowledge and experience in both ground-up and Design/Build project management. Rob is extremely familiar with the Procore and P6 software programs that our firm implements for each of our projects. Rob has a B.S. in Construction Management from Morehead State University. He is a Navy Veteran. Semper Tek joined the Society of American Military Engineers (S.A.M.E.) in the fall and hasn’t wasted anytime getting involved with the local Kentuckiana post. Semper Tek’s Business Development Manager, Tara Brinkmoeller has been asked to co-chair the Post’s Veterans Outreach Committee. The Veterans Outreach Committee is relatively new at the S.A.M.E. Kentuckiana Post. The committee is meant to create opportunities for S.A.M.E. members to engage with local Veterans for both goodwill assistance/service and professional development opportunities within the AEC industry. The committee will look to increase its involvement with ongoing Veterans programs in Louisville, as well as engage state officials on programs for VOSB and SDVOSB AEC firms. As a Committee Co-Chair, Tara also serves on the S.A.M.E. Kentuckiana Post Board of Directors. Tara was eager to help lead this important and extremely relevant committee. Her work for Semper Tek has provided her with some experience in Veteran’s Outreach and Community Service projects. Semper Tek has worked with the Robley Rex VAMC Community Affairs Department for the past four years to provide Christmas for Veteran’s families. They have also supported the department’s efforts for assisting homeless veterans. Prior to her work with Semper Tek, Tara served as the Vice President for Public Affairs and Communications for the Building Industry Association of Greater Louisville. While serving at this membership organization she gained experience leading committees, setting attainable goals for committee work, and working with pubic officials and committee members to accomplish those goals. Semper Tek was selected based on the successful completion of multiple projects for the Department of Veterans Affairs in 2017, as well as Multiple Award Task Order Contracts completed for the Department of the Air Force at Robins AFB in Georgia. Projects submitted for consideration for this award included the 25,000 sq. ft. vertical medical office space fifth floor addition at the Lexington VAMC – Cooper Drive location, as well as the Renovate and Construct BRAC Facility for the VAMC Huntington, W.V. These multi-million dollar highly complex projects are representative of the excellent work regularly performed by our firm. Mr. Scott Matheny, President of Semper Tek and Mr. Santiago Iturralde, SE Division Vice President accepted the award during the luncheon award ceremony at the workshop. Semper Tek is proud to be a member of the SAME Kentuckiana Post. 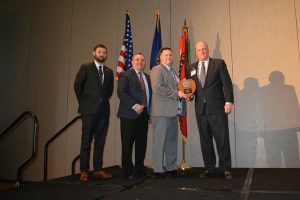 Recently Semper Tek, Inc. was named as an awardee to the VISN 5 Construction MATOC for the West Virginia Region. 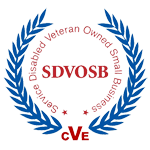 This SDVOSB MATOC program for the Department of Veterans Affairs covers facilities in Clarksburg, Martinsburg, Beckley and Huntington, West Virginia. Semper Tek, Inc. has previously worked with the VAMC in Huntington. Most recently our firm performed the Install Continuous Water Monitoring (VA249-14-D-0024; TO: VA245-17-J-0454) project at this facility. Semper Tek Project Manager Scott Wharton partnered with the Huntington VA COR and CO to execute this project which involved multiple departments in the active hospital. Mr. Wharton did an excellent job of coordinating and planning to safely complete the project on-time and with minimal interruption to the hospital staff. 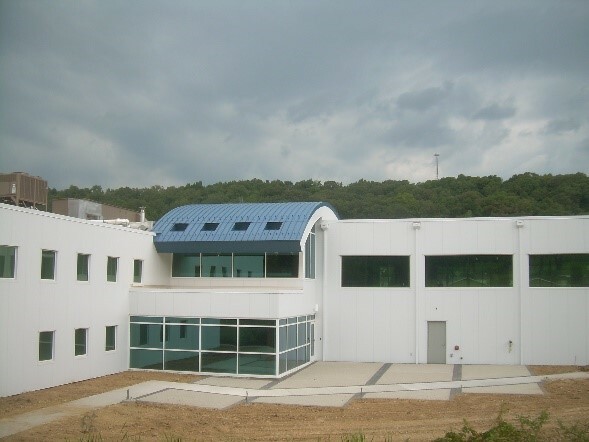 Our firm is also in the final stages of completing the renovation of a BRAC facility for the Huntington VA. We have performed roughly 5-acres of site work and have structurally joined two existing buildings. This complete renovation and new construction project began in the summer of 2015. 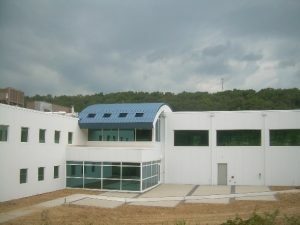 The new building will be used as medical offices. Mr. David Milam has served as the Project Manager for this project and has done a tremendous job executing and coordinating this work. 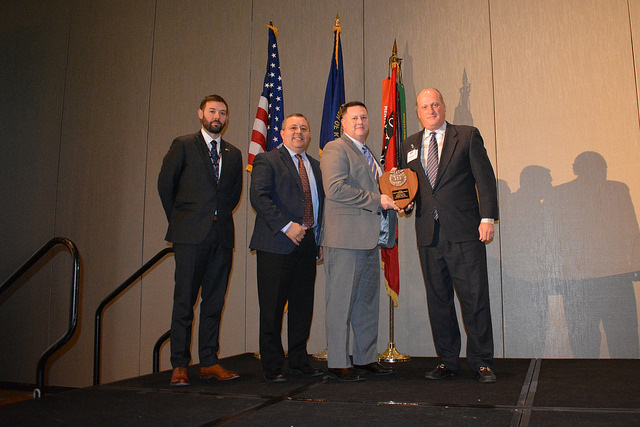 With this recent MATOC award, Semper Tek is excited to continue to serve the Veterans in the Huntington area, as well as expand our service to the other VAMC campuses within West Virginia. We are passionate about serving Veterans through our construction work for the Department of Veterans Affairs.